Prominent & Leading Exporter from Mumbai, we offer general purpose laboratory centrifuges, centrifuge, clinical centrifuges, haemotocite centrifuge and doctor centrifuges. 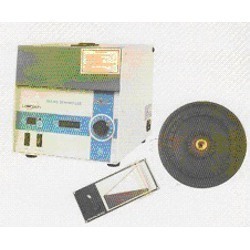 We are recognized as one of the foremost manufacturers, suppliers, and exporters of a broad array of Medical and Laboratory Equipments such as Centrifuge that is precision engineered for matchless performance. We have used the finest grades of basic components to manufacture it by maintaining stringent norms of quality standards that are in compliance with set norms of the industry. 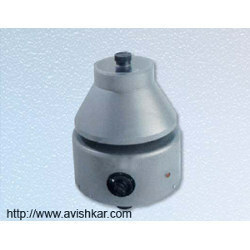 It has outstanding features and is widely used in prominent laboratories due to its satisfactory performance. We have used high end technologies to manufacture these in our sophisticated facilities and offer at reasonable rates to our clients. Our prestigious customers can avail an impressive array of Laboratory and Medical Equipments such as Clinical Centrifuges. These are made by using the highest grades of basic components that are procured from the established vendors. Our range of centrifuges is extensively used in clinical and pathological laboratories due to their dependable performance. We offer these in various models based on different specifications of capacity, number of tubes, and so forth. We maintain rigid quality norms as per the set industry standards. Our esteemed customers can avail these at very reasonable prices. Our vast domain experience and unmatched technological expertise has enabled us to offer a wide array of centrifuges such as Haemotocite Centrifuge. It is specially designed for outstanding performance with remarkable features such as excellent speed. It offers seamless performance even at very low temperatures and is available in various models depending on the requirement of our valued customers. We manufacture these in our sophisticated facilities by using cutting edge technologies by adhering to international norms of quality standards. It is widely used in leading laboratories for superior and rapid performance and is available at industry leading prices. Note : Use of Avishkar make or any good quality 1 KVA servo controlled voltage stabilizer is strongly recommeded for CM-12 centrifuge. Guarantee invalid in case of non use of voltage stabilizer. We are proudly offering our esteemed clients remarkable assortment of Laboratory and Medical Equipments such as Doctor Centrifuges. These are manufactured by using the best grades of basic components that are procured from the established vendors. Our impressive gamut of centrifuges is widely used in clinical and pathological laboratories due to their reliable features. We offer these in different models based on various specifications of capacity, RPM, and so forth. We observe stringent quality norms as per international standards. 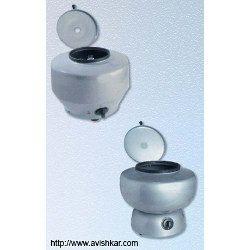 Our prestigious customers can avail these at very economical rates.